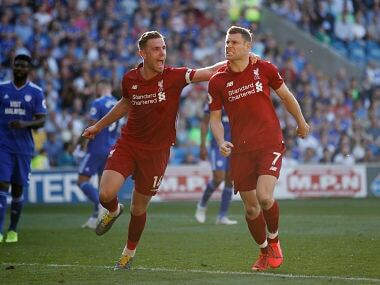 As the 'You'll never walk alone' chant echoed in every corner of the Anfield, Liverpool players entered the stadium with immense pressure on their shoulders. The Reds were without a win in the Premier League in 2017 and were certainly dependent on Sadio Mane, who returned from the Africa Cup of Nations last week. 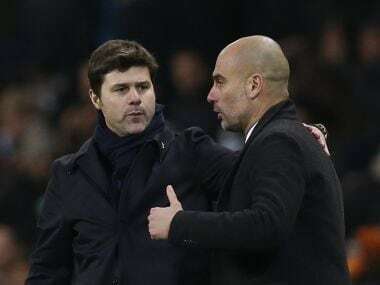 However Tottenham, who were known for their consistency in the past two seasons, hoped to take advantage of opposition's sputtering form and close the gap at the top. "I am pretty sure this will be a game of high energy and high intensity. It is my hope that we can produce a performance that makes Anfield smile," said Liverpool boss Jurgen Klopp before taking on Spurs. Not only did they smile, they erupted into pure pandemonium. 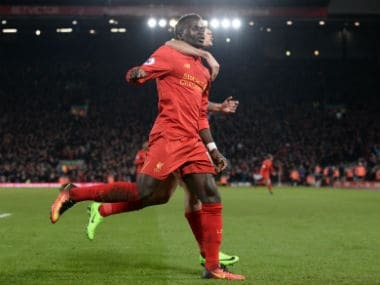 The Kop end heaved a sigh of relief when Mane struck twice in the space of 138 seconds to put Liverpool’s disastrous start to the calendar year to bed. From the referee’s first whistle to the last, it was the home side who dominated every inch of grass. Spurs were lucky to just be 2-0 down at half-time. Pochettino's men barely had control over the game. At one point, the visitors were all over the place and looked vulnerable, adding to their own anguish. But the Reds on the other side were glamourous. With lightening-fast pace and unbelievable passage of play in the attacking third, the Reds smothered the all-whites. Mane, the man with a golden streak in his hair, brought back the team's lost swagger. Returning from a quarter-final loss in the AFCON, the Senegalese winger was declared unfit. Every Red around the world wished for his recovery, to witness magic, to witness exactly what he produced against Spurs. It was evident why the team had missed him – his blistering pace, physical prowess and movement off the ball made the match a nightmare for the Spurs. He single-handedly ripped them apart. Moussa Dembele, Eric Dier and Victor Wanyama were left stranded as Mane continued his run to score past Hugo Lloris in the 16th minute. Just when Spurs were looking to regroup, Mane robbed Dier 35 yards from goal and blasted his second within three minutes to give his team a massive early advantage. It has become easy to say that Mane clearly fits in Klopp's system. Mane may not be the best player in the world, but he definitely is in this team. It is good to see how perfectly he fits the bill, especially when the rest of the team is not up to the mark. Before the match, Spurs had the best defensive record in the league – conceding just 16 goals. But with the absence of injured Jan Vertonghen and Danny Rose, their back four was in shambles. Mauricio Pochettino had no chance but to play 23-year-old Ben Davies to fill the left-back void. Was it worth the gamble? Absolutely not. Davies was caught in no man’s land throughout the game. He managed to win just one out of his three tackles. This clearly shows he had a bad day at the office. On a day when Spurs had no margin for error, things went from bad to worse. Firstly, Pochettino's all-out-attack of 4-3-2-1 failed to conjure much against Klopp's organised backline. Even after failing miserably in the first-half, the Argentine decided to stick with the same formation and paid the price for it. Since the start, the Spurs players were holding a high defensive line, gifting the Merseyside quartet – Philippe Coutinho, Roberto Firmino, Mane and Adam Lallana – enough space to run. Toby Alderweireld tried his best to contain the final ball but fell short on multiple occasions. In this season that has seen a proper blend of attack and defense from the Spurs, Dele Alli and Christian Eriksen failed to track back at crucial times. Harry Kane, who had scored eight in eight for Spurs and two in two at Anfield, was taken care of by Joel Matip. Wanyama was the only hope for Spurs, but he floundered too and couldn't win a single tackle and was often forced to pass it backward under pressure. For Liverpool, apart from Mane, it was the inclusion of another player who helped beat the opposition – Georginio Wijnaldum. Klopp's decision to play Wijnaldum over Emre Can was ace. The Dutch midfielder played a pivotal role in Reds' unstoppable attack with a passing accuracy of 100 percent and an assist to his name. Playing on the left in Klopp's 4-3-3 formation, he shouldered Jordon Henderson. Klopp wanted to keep the pressure mounting on Spurs' back four and thus left Can for late. Liverpool took the mickey out of Spurs' comical defense and swarmed around their box. Klopp would have preferred a third goal to seal the deal in the first-half itself. Meanwhile, Spurs hoped for a better second half given they would concede even more if they don't turn up. However, it wasn't just one-way traffic after the interval. In-form Son Heung-min was brought down on the edge of Liverpool's box only to see Eriksen shoot way over Simon Mignolet's goal. Dembele and Eriksen tried to find spaces and enter Liverpool territory but failed to find a teammate. However, neither of their full-backs provided width and penetration which left Alli and Kane helpless. Defensively, Spurs had lost their composure. A total of five bookings indicated that they really missed Vertonghen and Rose. Spurs lost the plot in the final quarter. Liverpool kept on piling the pressure and Pochettino hung his head in despair. Klopp's men deserve a pat on their backs for getting the job done convincingly against their top-four rivals. With that win, the Reds moved into fourth place and kept their Champions League hopes alive. 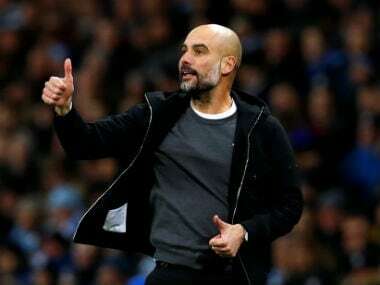 In the race between the five teams vying for the three other spots behind Chelsea, Manchester City still have a game in hand. After their run of six straight wins, Tottenham have now won just once in their last four. Defeat for Spurs meant that Chelsea can enjoy their lead and even extend it at Burnley on Sunday. All credit to Mane, who pulled Klopp out of his misery, but with 13 games yet to play, the question arises that for how long can Liverpool be so dependent on Mane? Liverpool should now be very careful with his return to the squad. They must learn to thrive without him or else it would be difficult to clinch their objective.